This Client loved her garden and her small patch of lawn. however after re-turfing and resowing grass seed numerous times. the lawn had proved unwilling to grow. Constant weeding, feeding, scarifying and mowing was taking up too much time of clients week. 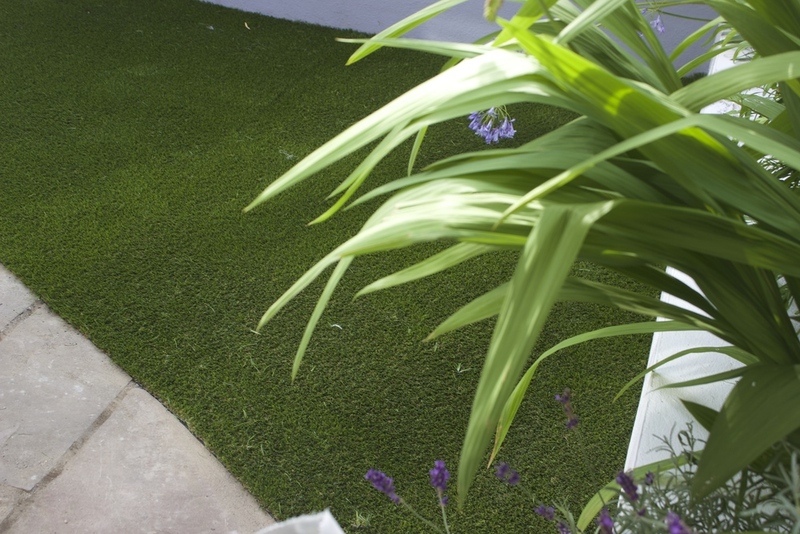 An artificial Lawn was required and TigerTurf Finesse suited garden perfectly. TigerTurf Finesse is a very natural looking lawn turf that was immediately picked up by client upon grass range presentation. Finesse artificial grass was exactly what this garden owner required as it appeared very realistic due to the brown under thatch and freshly cut pile height. The small garden Design had made the lawn a key feature and client was delighted with the installation.